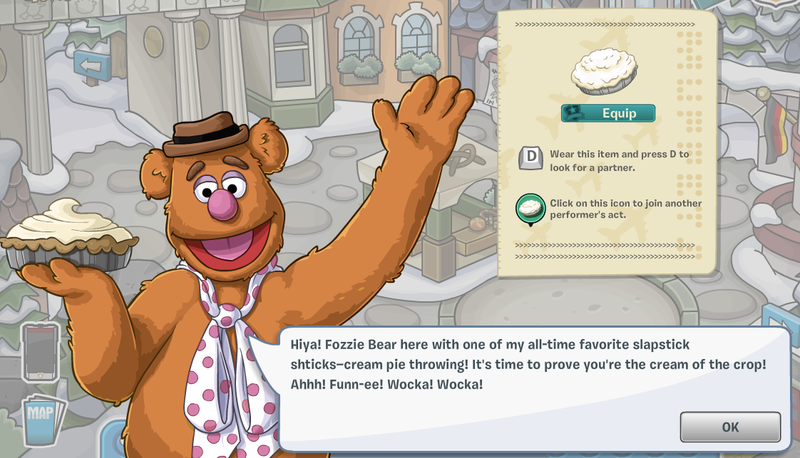 Club Penguin Cheats by Mimo777 Club Penguin Cheats by Mimo777: 2014 Muppets World Tour! The 2014 Muppets World Tour Party has arrived! Here's what to check out! 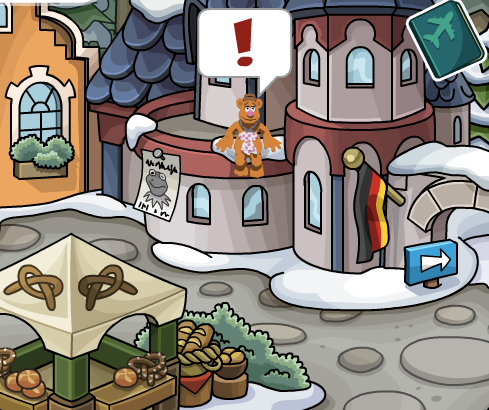 First click "Find Fuzzy" in the top right corner! Whoop! Everyday they'll be a new muppet to find! 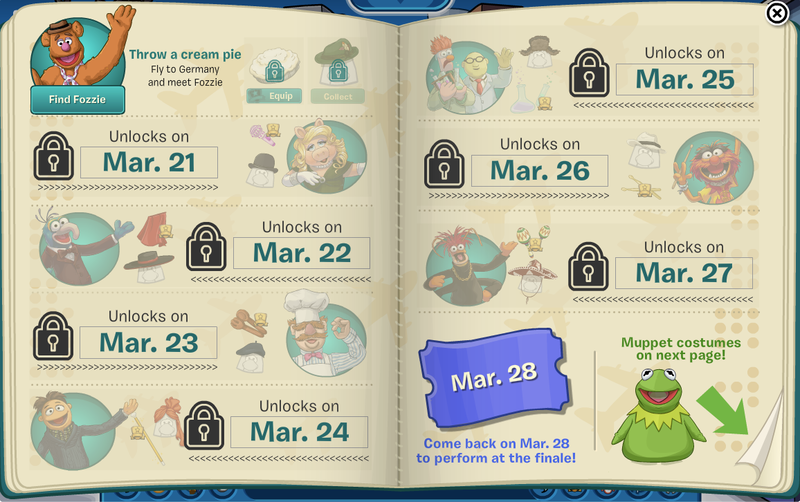 Check back on the 21st to find Miss Piggy! There are all kinds of things to find and collect around the island, let me know what you find! Hey there's one more cheat, Mimo! You should be aware. 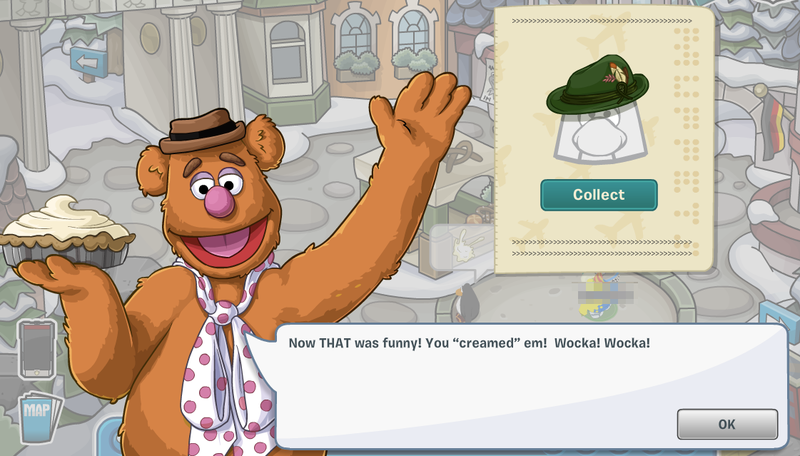 In the gift shop, If you click the Museum merchandise such as the Royal items, the Golf Puffle items and the big jewelry, you’ll be approached by Constantine, one of the evil criminals of the Muppets. He’ll like your way of thinking of robbing the Gift Shop and give you his own significant background. Hey Mimo!If you go to the museum and click all the displayed items,you get a message from Kermit the Frog saying about how we found out his secret plans to steal the antiques,and he gives a background to you!!! If you go to the museum(the gift shop)and click on all the artifacts in each glass case, you get a free background. Mimo try Teleporting directly unto the stage using your EPF phone the screenshot deserves to be put up on your site, It's Awsome!!!! Do it before the 28th Pleease. P.S I am unable to upload the screenshot I took, you need something to enable us to share pictures with you. After all a picture is worth a thousand words :D eh.